Bottom Line: A fun, smoky, spicy malbec that will be fun to pair with. 96 • Dutchcraft Vodka 40% (Netherlands) $14.99. 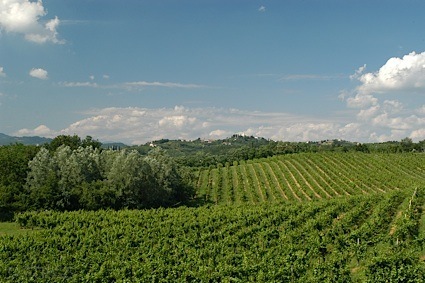 84 • Mi Amore NV Lambrusco Grasparossa di Castelvetro 8% (Italy) $14.99. 87 • Omnium 2014 Malbec, Mendoza 13% (Argentina) $9.99. 89 • Viniterra 2012 Reserva, Cabernet Sauvignon, Mendoza 14.5% (Argentina) $14.99. 84 • Viniterra 2013 Reserva, Malbec, Mendoza 14.8% (Argentina) $14.99. 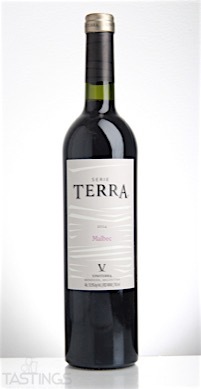 92 • Viniterra 2014 Serie Terra, Malbec, Mendoza 13.5% (Argentina) $12.99. Viniterra 2014 Serie Terra, Malbec, Mendoza rating was calculated by tastings.com to be 92 points out of 100 on 2/9/2017. Please note that MSRP may have changed since the date of our review.